King never looked so epic, ManaWolf. Great Stuff! SPACE SPACE, SO MUCH SPACE. GOTTA SEE IT ALL! King and GLaDOS are going to have a great time testing songs, I know I did! 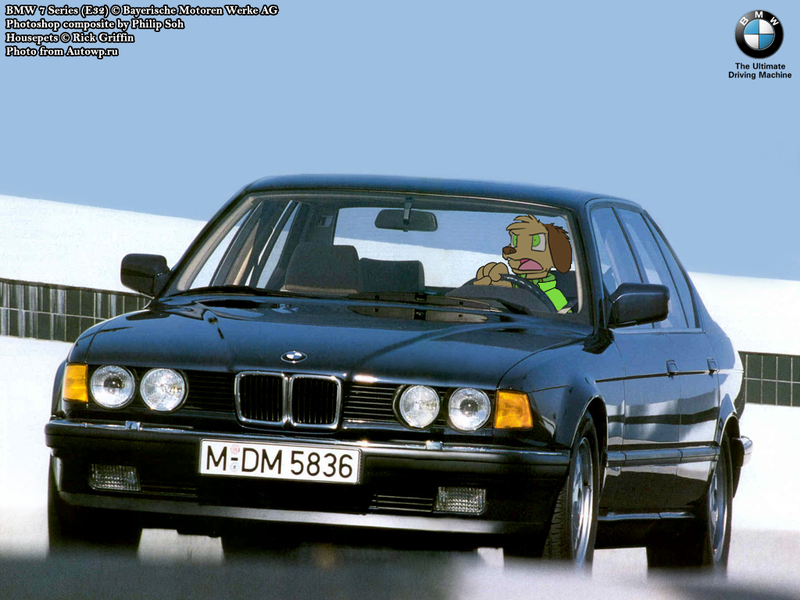 I was compilation Bino to BMW 7 Serise Sedan (E32). This Photo is BMW 735i. I Think Bino is Well Matched to BMW 7 Serise Sedan (E32, E38) and BMW 8 Serise. This is unrelated Housepets Original Story. This is for Housepets Fanfic I will Write sooner or later. I Will write Fanfic about Peanut is Driving Automobile. In Fanfic, I was establish Housepets Characters was Get Driver's Licence. Last edited by Philip-Soh on Thu Dec 15, 2016 12:33 am, edited 4 times in total. Nice, but what is Bino wearing? Is that a cape? Awesomeness!!! This Photo is BMW 740i. I Think Bino is Well Matched to BMW 7 Serise Sedan (E32, E38) and BMW 8 Serise. 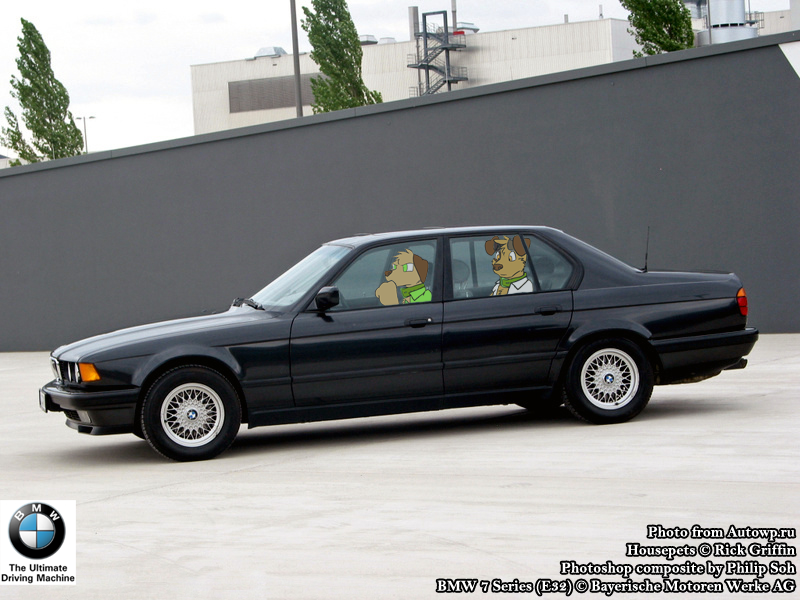 In This Photo, Bino accompany his brother Fido Byron, in his Bimmer(BMW Car). Fido sit in back seat in Bino's car. I'll appoint Automobiles to Well Matched to Fido soon. Last edited by Philip-Soh on Thu Dec 15, 2016 12:33 am, edited 1 time in total. Bino Drive His car in field and meet King incidentally. 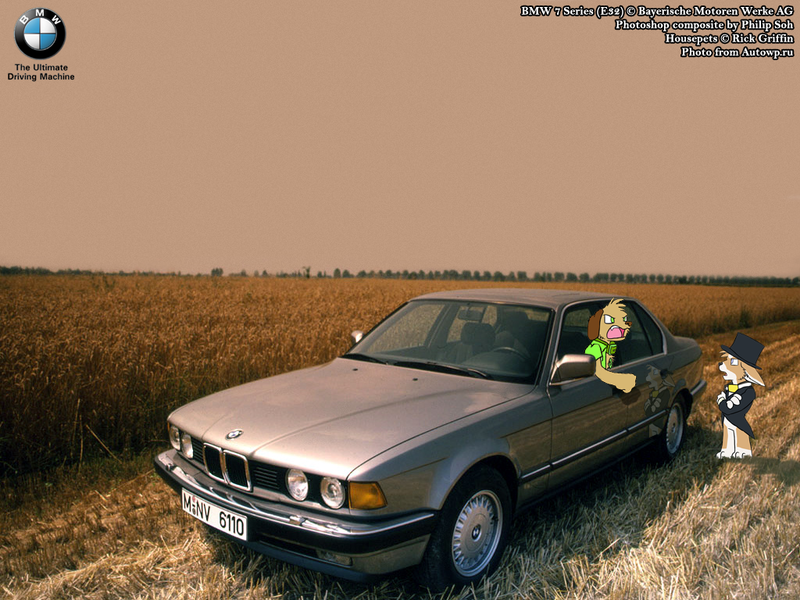 I was compilation Bino to BMW 7 Serise Sedan (E32).This Photo is BMW 730i. I Think Bino is Well Matched to BMW 7 Serise Sedan (E32, E38) and BMW 8 Serise. And I'll appoint Automobiles to Well Matched to King soon. Last edited by Philip-Soh on Thu Dec 15, 2016 12:34 am, edited 6 times in total. Well, it is definitely new. I like how you added King's images from the comic itself. if anyone could help me out?? I can't believe so many people made Shops with cars and nobody made a car wreck yet. That is just awesome. General Halftrack has no idea what he's up against! That filled my mind with images of Housepets! repeating the same jokes every few years. My mind was temporarily a scary place. what, you mean like the one about them being naked all the time? That is just awesome, dude..... I love it! You missed a great opportunity. "MY GOD! IT'S FULL OF STARS!!!" New feature now coming to the Housepets! forum: King looks dissaprovingly at your embedded images! Simply embed King on top of your disappointing image. HA HA HAaa! I knew someone would do this! A Christmas Card for everyone. Since it's the only one really suited to re-editing. No it has nothing to do with me being a King fan. Nope. Nosiree. Uh-oh; Grape is mutating again. I thought that it was funny how many character's are shipped with Grape, and it is near Valentine's, so I made this for fun! I don't really care for shipping that much, this was just for fun. I also wasn't sure about all the short names, I can reedit it if someone knows they real ones. Last edited by Zukio on Fri Feb 10, 2012 1:57 am, edited 1 time in total. and it's Grapewell and Grapres, like her fan fic character Gapres. Thanks for telling me, now it is fixed! 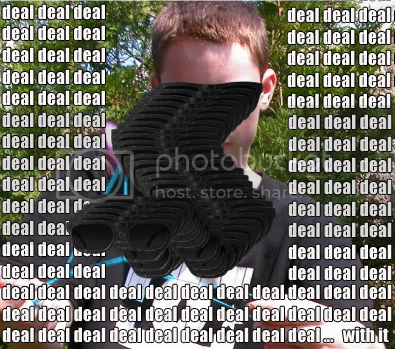 I approve this image. Seems like I wasn't the only one thinking about doing one. Also, totally dropping Grapenut in favor of frying pan. OTP! When this baby hits 88 miles per hour, you're going to see some serious shipping. And then Duchess dies from brain injury and King is put down. It's amazing what eyes can do, now it looks like Res and Peanut are some senior citizens looking through photo albums of their younger days.